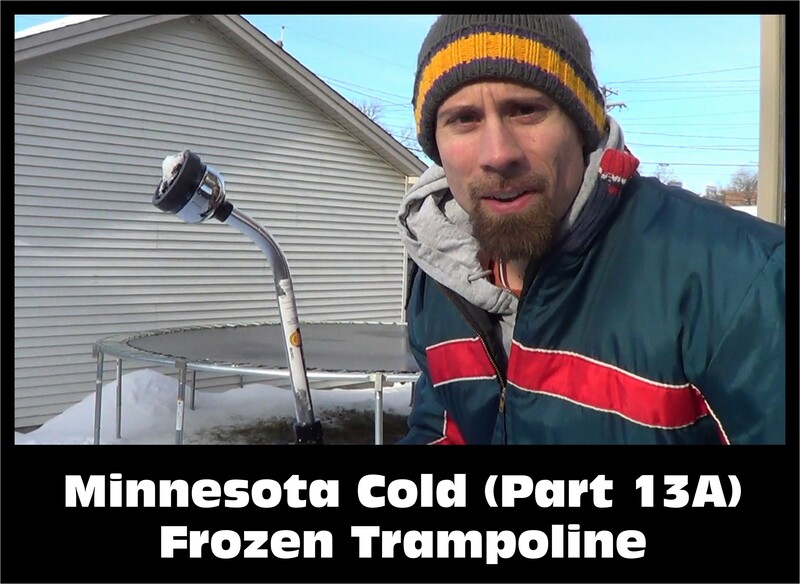 Minnesota – It’s so cold that… you can freeze your trampoline. Watch and subscribe all of the Minnesota Cold Weather Experiments: www.youtube.com/nziegler . Take the safety net off of the trampoline. Wait for it to get cold enough then shovel off the snow. Hook the garden hose up to your utility sink with an adapter. Cover the trampoline with a layer of water mist, then let it freeze (bring the hose back inside). Add a second layer of water to the trampoline. Jump backwards as high as you can onto the trampoline. Make sure to jump with your back to the ice so you don’t cut your face with the ice. Bring the hose inside each time or else it will freeze solid.